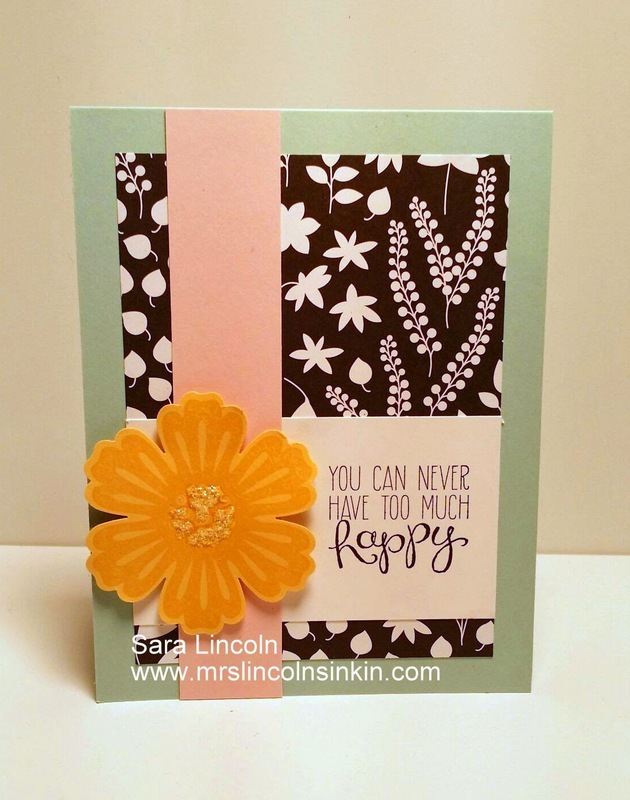 Mrs. Lincoln's Inkin: Happy Bunches!!! Hello everyone. Thanks for taking a minute and swinging by my blog today:) Today's card is a card that I used one of my favorite DSP's, Back to Black. 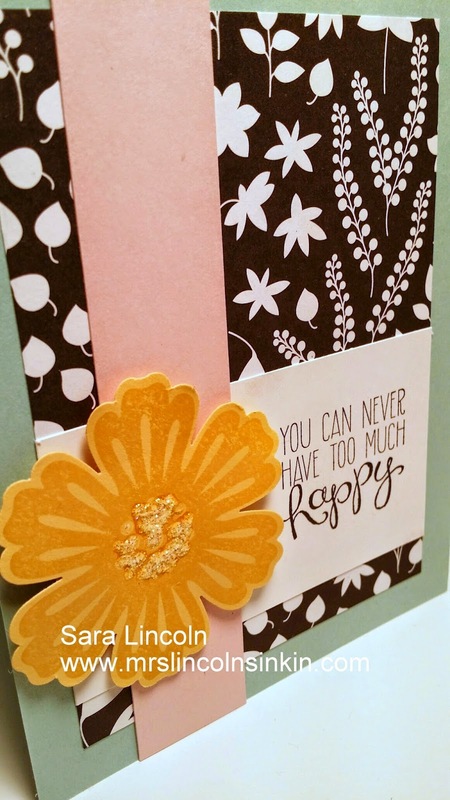 I love black DSP because you can use it with any color card stock, it always looks great and you can use it for so many moods. Today I used Pool Party for the base of my card and it is measured at average size of 4 1/4" x 11", scored at 5 1/2". The Back to Black is cut at 4" x 5 1/4". I wanted to break up the pieces a bit so I chose to use a piece of Pink Pirouette and placed it to the left of my piece. My greeting comes from the Yippie Skippie set (what a great set) and then I placed a Hello Honey inked Blossom Punch using the Mixed Bunch stamp set (both of which are on the retiring list). Then to finish it off i used my Dazzling Details and placed them in the center of my flower. Have to have some bling somewhere on the card:) The item that I am showcasing today is the Back to Black DSP. Make sure to check the entire Retiring List of products to see if this accessory is still available. Stamps are continuing to be made because there is such high demand, however accessories are only while supplies last.